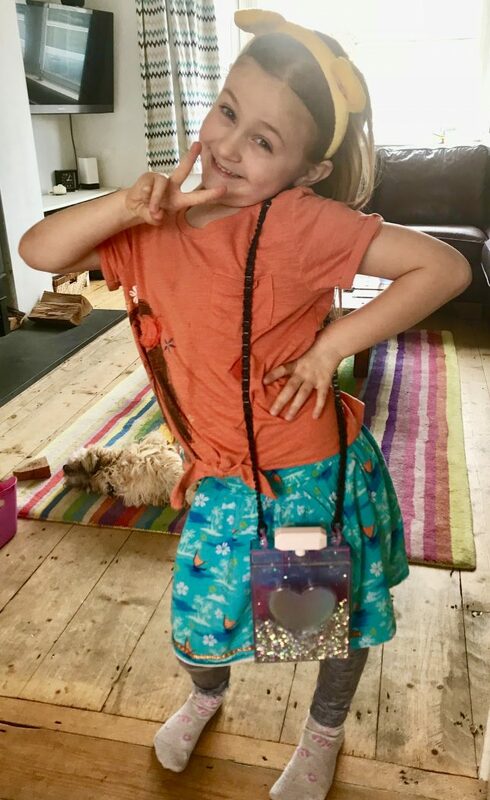 Goo is a massive craze amongst Wonder Girl, aged seven, and her friends. 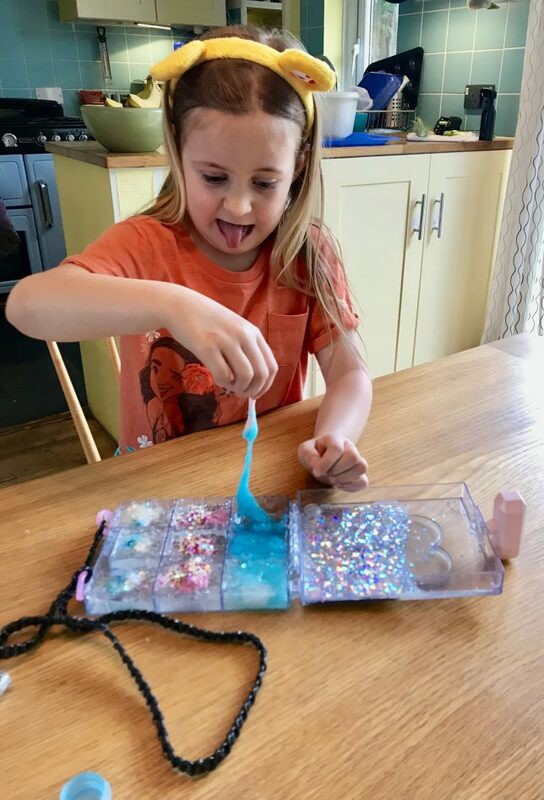 They love making it and playing with it but making slime fashionable is a brand new concept. Glam Goo makes slime fashionable by turning it into jewellery and other accessories. The deluxe set contains a handbag, and a double ring which you fill with the glam goo. 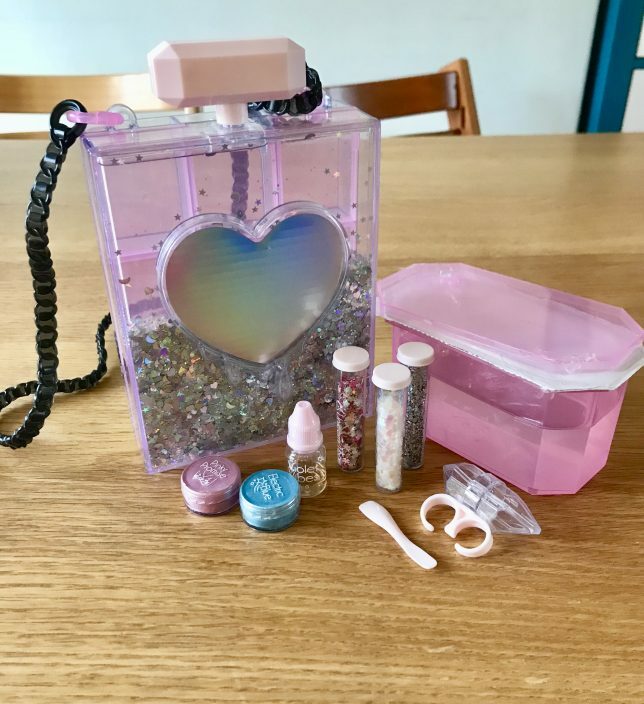 The fun with this kit isn’t making the goo, which is ready made, but in making your goo colourful, scented and sparkly. In the deluxe set Wonder Girl was excited to find two coloured powders, three tubes of sparkles, and a scent to add to her goo. To turn it into glam goo. Wonder Girl was very excited about this kit, so we got everything out and dumped a bunch of goo on the table. The enclosed instruction leaflet shows the mixing process this way. I would advise that you do not do this! The goo is extremely sticky to start with and goo rapidly spread across the table and we got covered in it! So we changed our approach and I filled the compartments of the handbag, using a spoon, with the goo. Then added some power, glitter, and scent, and gave Wonder Girl a spoon to mix it all together. Completing this set was a lot of fun, and we found that stray bits of goo peeled off fingers and furniture easily, once dry. Wonder Girl enjoys caring the handbag around, opening it up and playing with the goo. Which is brilliant sensory play. 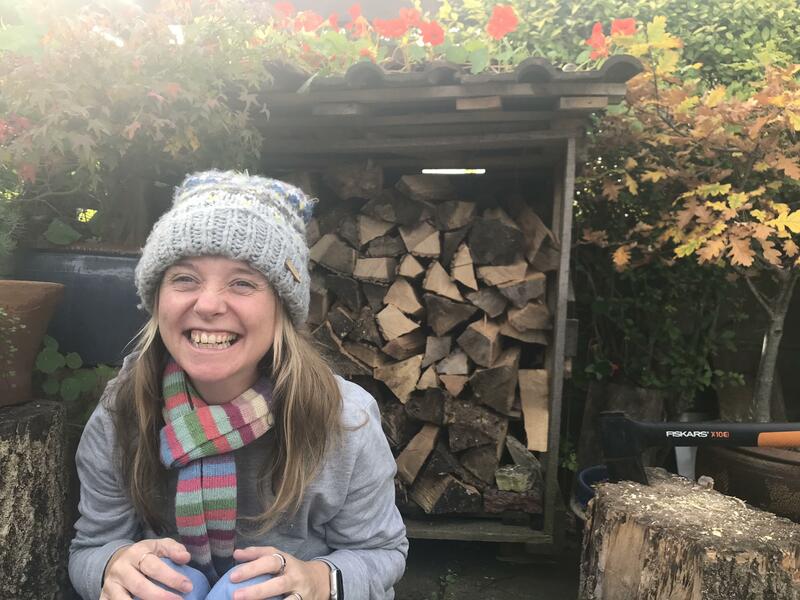 She was thrilled with the end result and I would definitely recommend this set to parents of children aged six and over. After a quick internet search the cheapest I’ve found it is £30. You can purchase it from here. 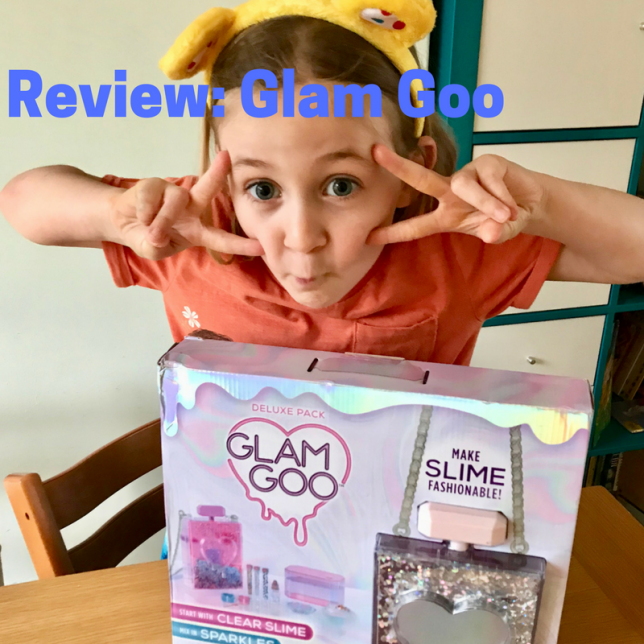 *We were gifted the Glam Goo Deluxe Set in order to write this review. My review is not influenced by this.